There is a question that has been on the lips of many for the last three years. 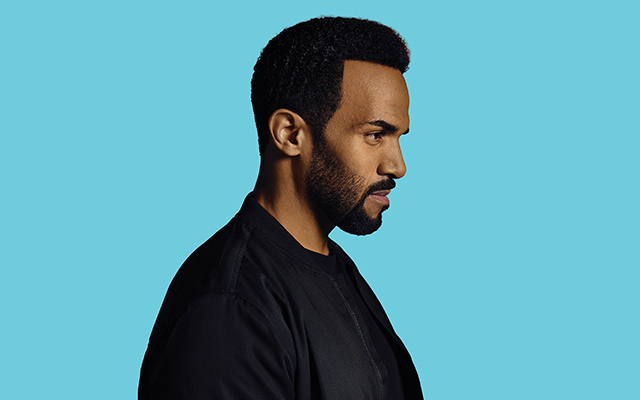 Namely: just how has Craig David managed to pull off the comeback he has when, back at the start of this decade, labelless and living out in Miami, it appeared to be all but over? The present writer has a few ideas as to why, but one look at this week’s top 40 should give a very clear one. We are only 34 days into 2018, and on the whole, things have been diabolical music wise thus far. Justin Timberlake has severely tested the present writer’s patience by releasing some of the most unlistenable, pretentious twaddle he has committed to record in his solo career. Drake is currently sat at number one for what will probably be another interminably long stint that seems to be de rigueur for a new release of his, with ‘God’s Plan’, which if you haven’t heard it, is essentially the hip hop equivalent of Pierce Brosnan’s attempts at singing in Mamma Mia. Craig meanwhile? He’s just focussed on bringing the tunes, and ‘The Time Is Now’, his long awaited follow up to 2016’s chart topping career renaissance LP ‘Following My Intuition’, is full of them from the minute the play button is pressed. ‘Magic’, the album’s opening track, is a catchy, light and skippy shot of audial sunshine that flows nicely into still brilliant first single ‘Heartline’. You listen to them and suddenly think you’re at one of his renowned TS5 DJ sets at sundown during high season in the Balearics. There are some critics who would argue that he is playing it safe delivering another album of more of the same feel good dance and R&B centered pop (and a hint to his original UK garage roots) that bought him back to public affections. But when an artist does it as well as Craig does, to cuss him for that is to miss the point entirely. If anything, he is consolidating this sound and honing it all to perfection. Especially in the case of one of our favourite tracks on the album, the surprisingly poignant banger ‘Love Me Like It’s Yesterday’. The two-step centred track sounds, lyrically anyway, like a love song to the audience that first discovered him back at the turn of the millennium, and whose kids are now raving down the front on his tours or at his blinding set on the Pyramid stage at Glastonbury last year. But most importantly, it sounds current and forward thinking without negating the sound he is renowned for. It’s also true of tracks like ‘Get Involved’, his brilliant duet with JP Cooper, ‘Brand New’ (co-written with the legendary Steve Mac) and the two parter closing track ‘Talk To Me’ with Ella Mai, that’s as smooth and seductive as ‘7 Days’ and ‘Rendezvous’ before it. The only moment that we would say the album falls down on though, is on ‘For the Gram’, a slightly cringey, vocodered number that doesn’t have any discernible tune or lyrics, other than references to ‘sliding into DMs’ and ‘hashtag wink emoji’ that are practically asking to be date stamped before Twitter gets usurped as social media network du jour in about a decade’s time. 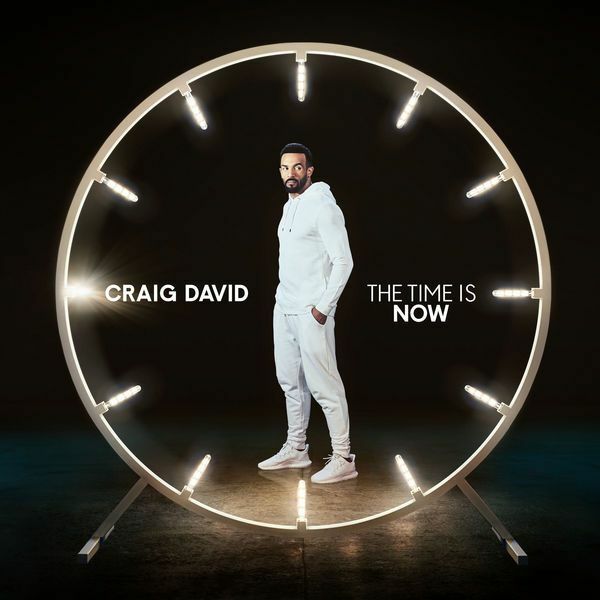 That small blip aside, ‘The Time Is Now’ is the sound of Craig at the peak of his creative, musical and artistic powers. It is a solid collection of accessible, danceable, loveable and brilliant singles in waiting – and you’d be foolish to resist these future hits otherwise. Great review!!! Couldn’t agree more. Very well thought out and accurate. I love the whole album as well and hope he allows many more of the songs to be released as singles. I agree with your song favorites but I also REALLY LOVE “Focus” too. I can not stop listening to that one as well as so many others. Keep up the good music reviews!